Background: In Suceesfactors Employee Central we have dedicated option under User Permission Section to control the edit of Business Email Address. Using that permission, we can restrict employee not to edit their business email address. This functionality is used very often for most of the client. Another very common requirement for most of the client is to control the edit of Business Phone at employee level. 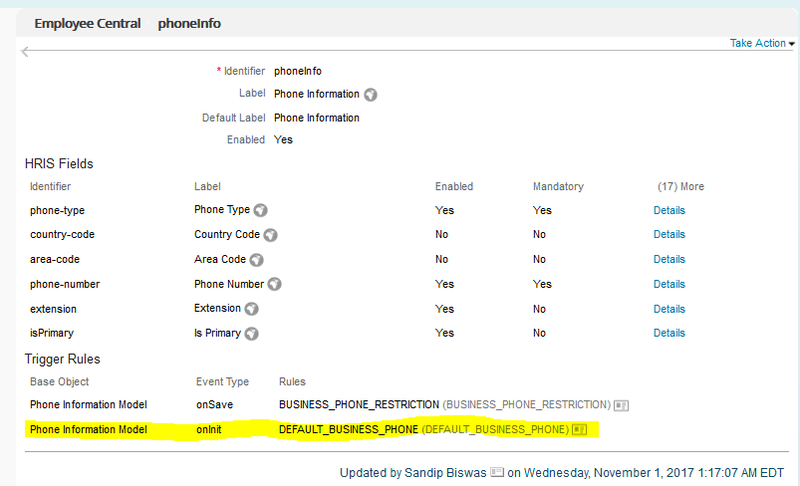 But in SuccessFactors we don’t have any shortcut method in RBP to control the edit of Business Phone. 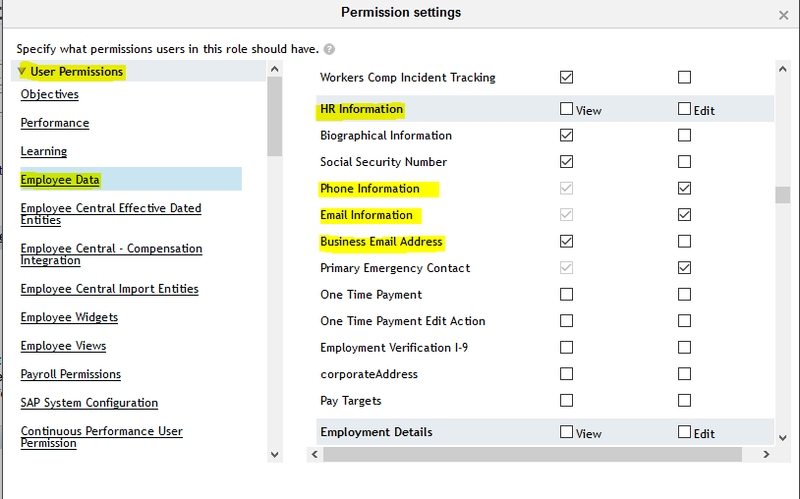 In this blog we will discuss how to use SuccessFactors Business Rule functionality to control the edit of Business Phone at employee level. RBP Section to control edit of Business Email Address. Steps to control the edit of Business Phone. 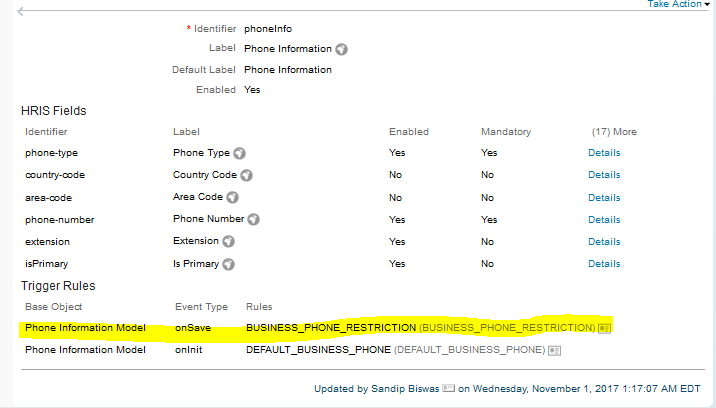 Step I: Default the Business Phone number during Hiring Action – To do the same we have to write a simple business rule to default the Business Phone during Hiring & need to add the rule in Manage Business Configuration for Phone Information at oninit event. Sample rule & configuration is given below. Sample Rule: Through this rule system is defaulting the Business Phone detail during hiring action. So that Business phone is maintained for all the employees. Step II: Write another business rule to control the edit or delete of Business Phone at employee level & also add the rule in Manage Business Configuration for Phone Information at Onsave event. Sample Rule: The below sample rule is throwing error message when employee wants to edit or delete the business phone from ESS functionality. Now Let’s See the Behaviour. 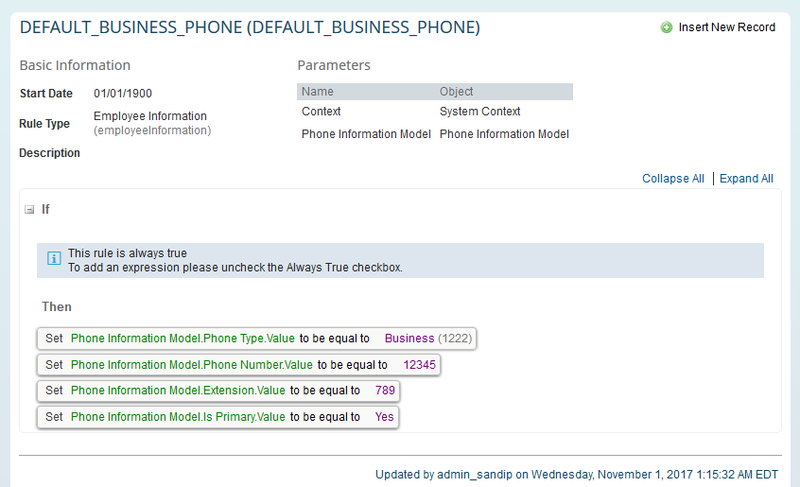 During Hiring system is automatically defaulting the business phone. Now when employee wants to edit or delete business phone then system is giving error message. 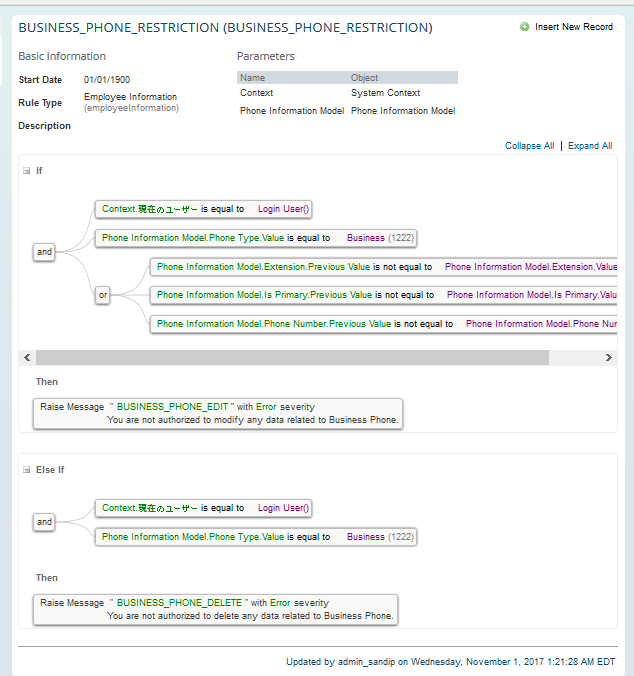 Existing Phone Information Record for employee. Employee wants to edit Business Phone. System throws error message. Employee Wants to Delete Business Phone. System throws error message. Employee wants to edit other phone except Business Phone. System allows.